HA NOI (VNS) — Viet Nam beat Hong Kong 3-1 in their first Group G match, East zone, of the Asian Football Confederation U-19 Championship qualifier yesterday in Myanmar. 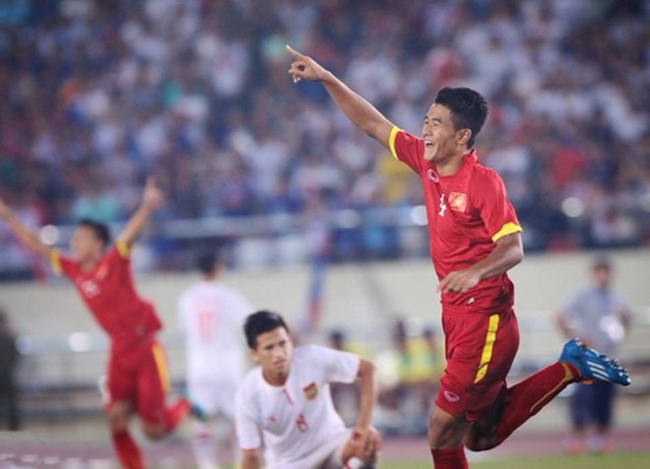 Striker Ha Duc Chinh scored a double while Nguyen Tien Linh scored the third goal for the Vietnamese side. Ho Shing Yuen Matthew netted the only goal for Hong Kong. Viet Nam showed their strength to set the pace of the game from the beginning. Chinh opened the score just eight minutes from the start with a straight shot. The opener shook up both the sides, but while Vietnamese striker failed to score another goal, Hong Kong found the leveller near the interval. Vietnamese coach Hoang Anh Tuan spoke a lot to his players during the break. It seemed to have an electrifying effect on Viet Nam in the second half. Linh pushed Viet Nam ahead just three minutes after the game resumed. And Chinh let Hong Kong's keeper rest for 10 minutes before he completed his double with a shot from a narrow angle. Hong Kong had their chance for a second goal when they were given a penalty after defender Duong Van Hao committed a foul in the box. However, goalie Nguyen Thanh Tuan did his job very well, successfully protecting the net. Hao received a red card and will be side-lined in the next game against Brunei on Friday. "My players were not in good spirits as it was the opening match. Furthermore, they were too eager to score, so their kicks were not accurate," coach Tuan said at the post-match conference. Tuan hoped that things would be better in the next few days. Viet Nam are on top of the group which also has East Timor and the hosts. A total of 43 member associations including final round hosts Bahrain and reigning champions Qatar will compete in the qualifiers. They are divided into two zones - the West Zone which has 25 teams and the East Zone with 18 teams. Ten group winners and five best second-placed teams will qualify for the finals while hosts Bahrain received an automatic qualification from a total 16 teams. If Bahrain finish on top of their qualifying group or as one of the five second best-placed teams, the next (sixth) second-placed team will qualify for the final competition.